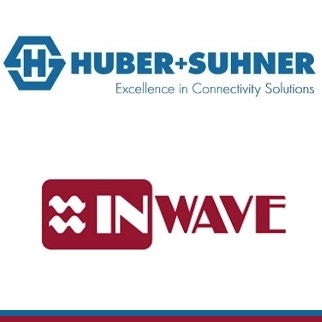 HUBER+SUHNER has announced the acquisition of microwave and RF-over-fiber solutions specialist, Inwave Elektronik AG in Reute (Switzerland). The acquisition will allow HUBER+SUHNER to strengthen its technological competence in the radio frequency systems business. HUBER+SUHNER is acquiring the activities of Inwave Elektronik AG in Reute specifically to strengthen its expertise in the radio frequency systems business. The owner-managed company with four employees specializes in engineering and prototype production of microwave and RF-over-fiber solutions (conversion of radio frequency to analogue fiber optic signals and vice versa), which are increasingly gaining in significance in high-quality applications such as in industrial high-tech niches or GPS solutions. Inwave Elektronik AG may be very small, in terms of revenue (in comparison with Huber+Suhner), but relevant for future activities, the integration into the Radio Frequency division and relocation to Herisau facility will be completed by the end of 2018. Both parties have agreed to treat the financial details of the transaction as confidential.